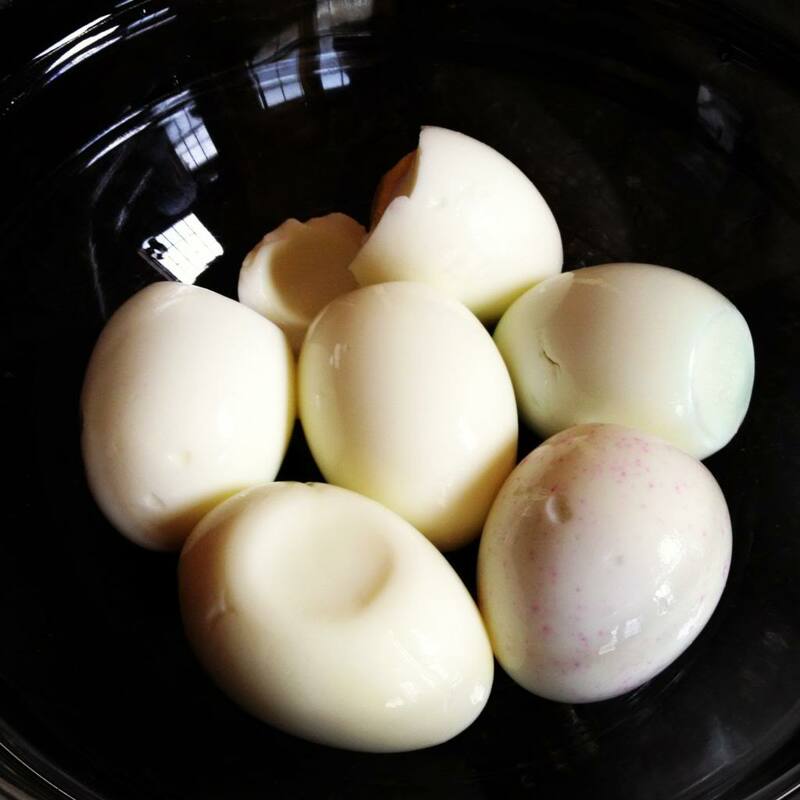 Place the eggs in a bowl. 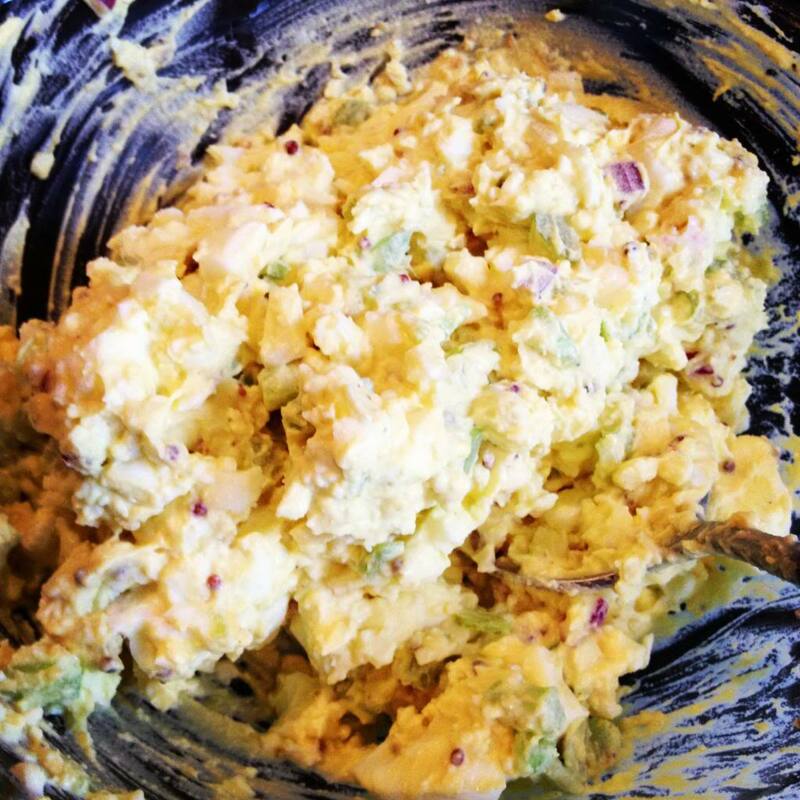 Using a potato masher, mash the eggs to the consistency of your preference. I leave mine a little bit on the chunky side. Add the mayo, mustard, celery and red onion to the bowl. Mix to combine. Season with a little salt and pepper. 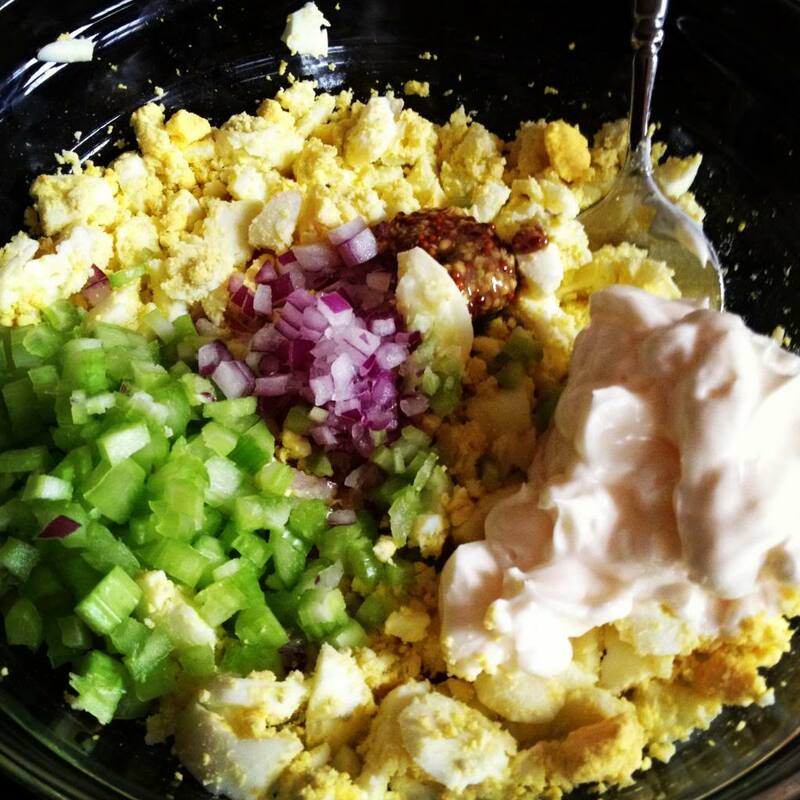 If you allow the egg salad to sit in the fridge overnight the red onion will mellow out to a nice subtle flavor (in case you aren’t a huge fan of raw onion). YUM! looks great! I was wondering what to do with my 39847598 leftover eggs! 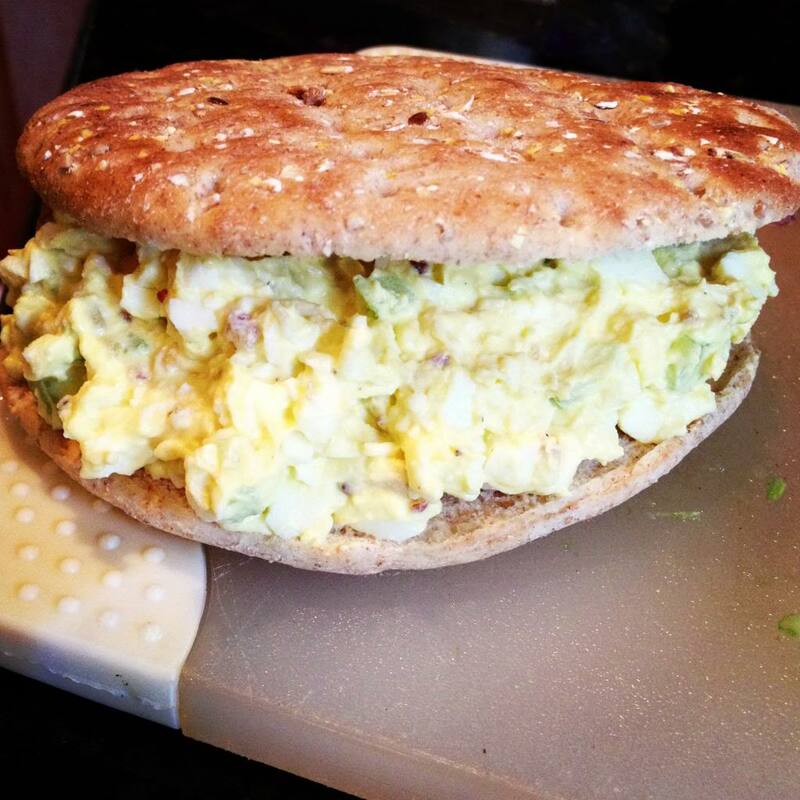 I have egg salad EVERY morning! 1 full egg 2 more egg whites no mayo I use mustard and hummus or avocado! YUM!